Education, training and certification are ongoing for us here at Black Goose Chimney & Duct. Our technicians hold the highest and most recognized certifications available in the chimney and venting industry. 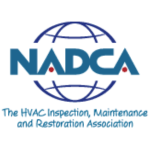 The Air Systems Cleaning Specialist (ASCS) certification from the National Air Duct Association (NADCA) is a world wide credential for a person’s knowledge and skills related to HVAC system hygiene. The CSIA program is the first and most recognized national certification program of technical expertise for the chimney and venting industry. One of the most rigorous trainings in the industry, this certification focuses on the forensic inspection of gas and wood burning fireplaces, especially for insurance and arson investigations. The CSIA program is the only national certification program of technical expertise for the dryer exhaust venting industry. This training promotes the safe and responsible installation and use of hearth products. It was developed in conjunction with the National Fire Protection Association, the National Bureau of Standards, Underwriter’s Laboratory, the insurance industry, Hearth Patio and Barbeque Association and the National Chimney Sweep Guild.